Your motorbike – it’s not just a means of transportation, but rather your pride and joy (and an expensive bit of pride and joy at that). 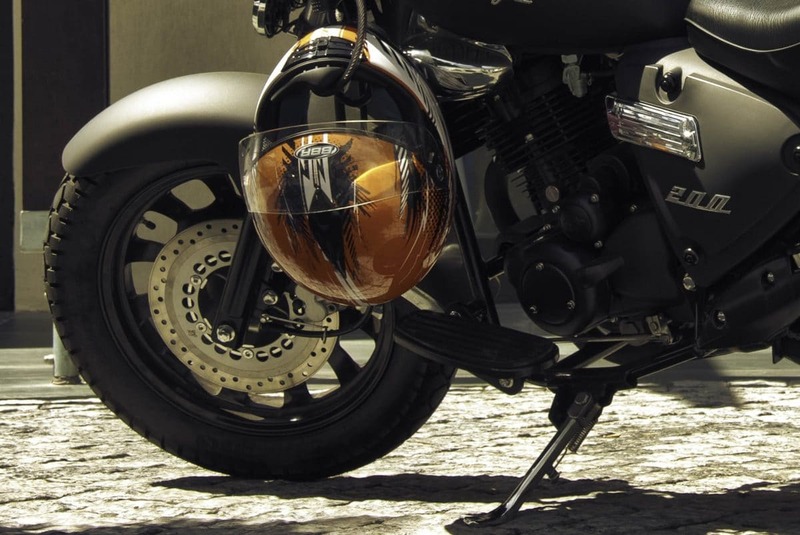 Whether re-locating, selling your bike or making a service appointment following a breakdown, you need to know how to move your motorbike safely, and securely – for which, here is our step by step. First things first – choose a proper motorbike ramp, not makeshift piece of wood, or anything else. These are sold with weight ratings (so you’ll know that the ramp you’re purchasing is up to the task). With the right ramp, you should lower the bar and position your ramp to be as level as you can, so that it sits as flush as possible with the truck/trailer bed. This tip is important whatever the bike, but especially vital where you may be dealing with a long-wheelbase cruiser. You should aim to drop a pickup’s back past horizontal (to achieve this, you could park down a kerbside, with the back wheels in the road, to drop the load height), or place the trailer at an angle to drop down the rear that meets the ramp. Before loading the bike, make sure your pickup, van or trailer has a securely positioned chock in the right place (centred and robustly tied down); it needs to be in a position whereby the back doors will close with your bike in-place. Do not ride your bike into position (no matter how experienced a rider you are). Either push it by running up with a little power or manually push it on with a friend. With your bike now in place, tie it down tightly. You should have at least four tie points – two in the front and two in the rear; these should run from the bike to the tie positions at 45 degrees, and be tied to something solid. Remember that the front ties are going to bear most of the pressure when the bike is in transit, so you may want to use stronger ties here. You should invest in good quality ties (not merely any old rope) which are available in two forms – either cam buckle or ratcheting. Should you choose cam buckles, you’ll need to compress the suspension when you attach it in order to ensure the tie doesn’t have any slack. Sound like a lot of work and plenty of worry as to whether your bike will make it to the other side in one piece? Then you may want to consider professional removal services. Don’t trust your most prized possession to anyone less than an experienced motorbike transportation team. We handle motorbike pickup, delivery and transport services in York, and the UK beyond. Grab your two-minute online quote for your motorbike transport; alternatively you can phone our team on 07931 849 112 or 01904 375 995, or email us via [email protected]. For further information about our motorbike transport service check out our dedicated page.